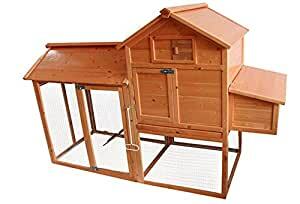 This high quality Large Deluxe Chicken coop is made from fully treated and grooved wood. It is coated with a water based preservative. It comes with sliding access pan, which makes easy to clean.